It doesn’t matter if your business is moving around the corner or all the way across town: Keeping track of everything you need to take care of as a business owner can be hectic. Fortunately, the local moving and storage experts from WestPac International in Hawaii, are here to help. 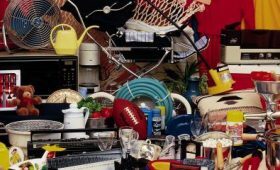 They want to relieve some of that moving-day stress, so they’ve compiled a little checklist of things for you to keep in mind as the big day approaches. Whether you run a small clothing store or a logistics company, the technology you use on a daily basis is important, which is why the moving and storage experts from WestPac International recommend making a thorough inventory of everything you need to take with you. It also doesn’t hurt to visit your new location and make sure all your electronic devices are compatible with its electrical systems. If your staff has been complaining about their chairs, cubicles, or other office furniture, moving can be a great excuse to update these items. Take a trip through the office, check for anything that needs to be replaced, and make a note of it for down the road. When moving your business, it’s important to have a clear idea of what you’ll need to move and when, which is why WestPac International recommends creating a detailed timeline. You should also communicate to your employees when they need to have all their belongings packed and ready to go. 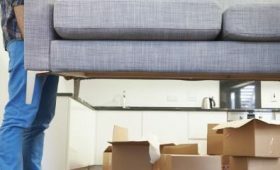 Moving a business isn’t as simple as changing apartments. Commercial moving companies need time to prepare for such an endeavor. Because of this, it’s important to contact your professional moving and storage company several months prior to your scheduled move. 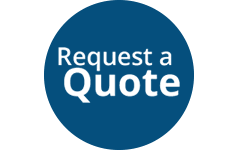 If you’re concerned about your valuable equipment making it from point A to point B, it may be beneficial to invest in the services of a professional packing or moving company with experience relocating businesses. Hiring a company to pack for you will also save you and your employees time, allowing you to focus on keeping your clients happy. For those hiring professional movers, it’s important to have a clear idea of the insurance policy they have in place before the move. Doing so will ensure you won’t be held liable for any unfortunate on-the-job accidents. In all the commotion, it’s easy to forget to update the contact information of your business. Your customers need to be able to reach you at your new location, so don’t forget to tell them you moved by posting the details on your website, answering machine, and anywhere else you can. As one of Honolulu’s leading moving companies, WestPac International can assist with local moves in addition to international business relocations, so contact them today at (808) 845-9711 to learn more about their services. You can also visit them online for additional helpful moving tips.